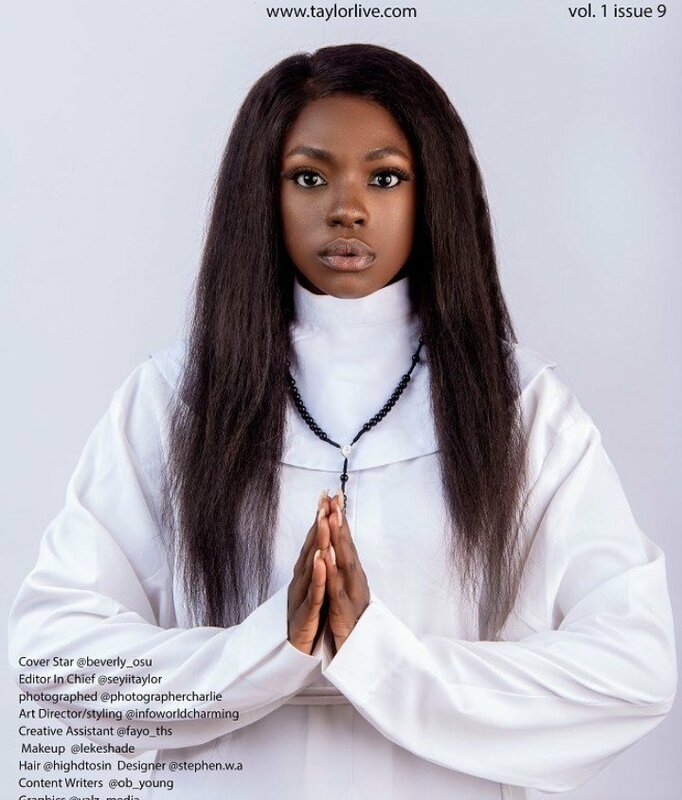 Nollywood actress, Beverly Osu is on the cover of the TaylorLive Magazine. The cover title Secrets of Beverly Osu is an expression of her inner fears and secrets since she participated in Big Brother Africa. 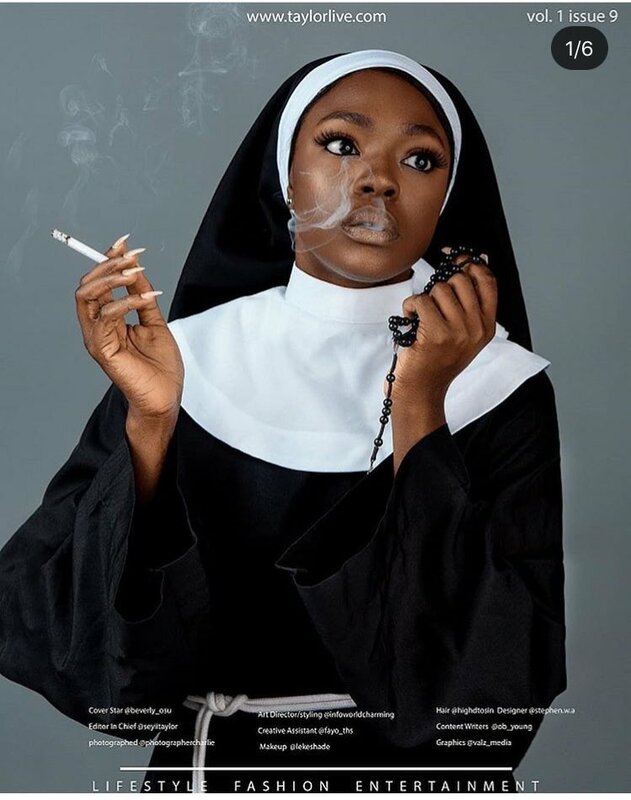 In the pictures for the magazine, she is dressed as a nun and holds a cigarette and a lingerie and it has since sparked mixed reactions online. While some have said that the pictures are a ridicule of some peoples religious faith, others have said that it is creativity at its best.